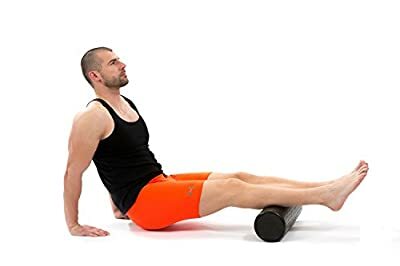 ProSource High-Density Foam Rollers are the perfect muscle therapy tool for self-myofascial release (self-massage), gentle stretching, mobilization of joints and spinal stabilization. The firm support is ideal for working out knots and tight muscles, especially in the upper back, IT band, calves, and thighs. They are also great for rehabilitation purposes, improving posture and body awareness. Foam rollers are an excellent fitness accessory for Pilates and yoga core strengthening. Rollers come in 3 sizes: full-length 36”x6” for full back coverage and comfort, 18”x6” for a more compact version, and 12”x6” that’s perfect for travel and space-saving. All are great sizes to have on hand at home or for gym owners and personal trainers as an added benefit for your clients. Train like a pro, Train with ProSource!